I recently shared my introduction to Animoto, a video creation tool, and have been playing and creating ever since. In an effort to help teachers bring Animoto into their classrooms, I've put together a quick step-by-step tutorial. 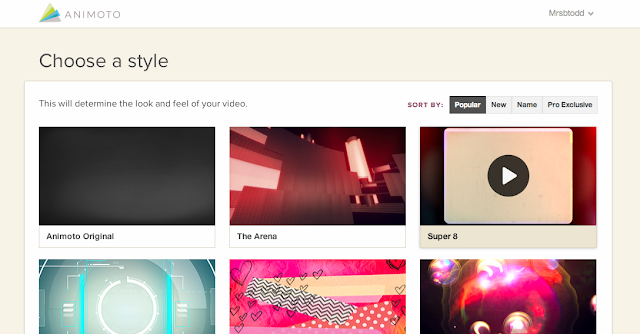 Step Two: Sign up for a general Animoto account here. Step Three: Apply for the Animoto Educator benefits here. It can take a bit for education accounts to be approved, so I suggest starting with the basic account while you wait for approval. 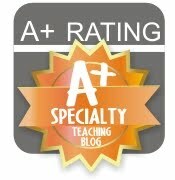 The educator account allows you access to more templates and offers more sharing options, while still being free. Yay, free! Step Four: Time to start brainstorming! What would you like your video or digital story to be about? What would you like your students' videos to be about? Jot down ideas and then start to put them into a storyboard. Saskatoon Public Schools has posted some great storyboards, check out some examples here (lower school) and here (upper to middle school). Step Five: Time to compile your images, Creative Commons is a great place to find tons of media that is copyright-friendly, start your search here. New to using Creative Commons or searching for images that are "copyright-friendly"? Talk to me about how to get started! Step Six: Go to your Animoto account and click "Create." Step Seven: Select a theme for your video. To preview the various themes, click and watch a short demonstration. Remember, until your educator account is approved or you pay to upgrade, many of the themes are unavailable to use. Step Eight: Select your theme and click "Create Video." Step Nine: Click the plus sign to add photos, videos or text. Remember to give credit when using the work of others. Step Ten: Put your slides in the right order, add captions (if you'd like) and choose the song you like best. Step Eleven: Preview your video and if you like it, PUBLISH! 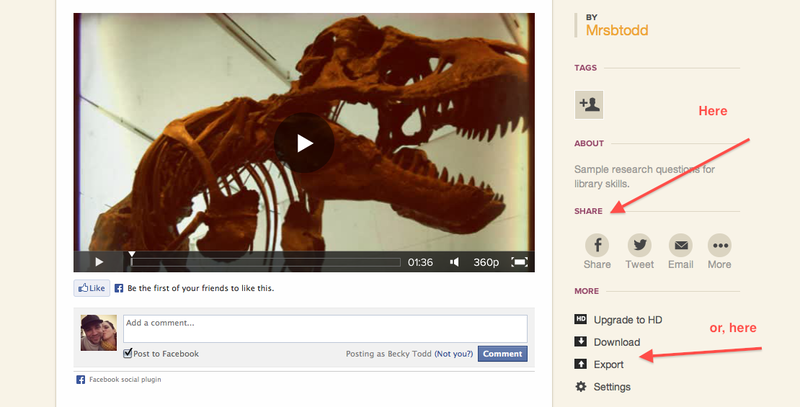 Step Twelve: Share your video with others! Check out another example I whipped up below or click here for some student examples. Working with Americorp, I met more than a handful of students that long ago lost faith in the good of the world and here I was, just another "adult" trying to engage them in topics they could care less about. Fresh out of college (with the face and energy of a 12 year-old), I had no idea how to earn the respect of these "kids" who had experienced more in their 16 years than I could ever imagine. With histories of juvenile detention, abandoned parents and looming bills, I knew it would take more than a well thought-out lesson plan to connect with these young people. After listening to their stories, I discovered the power of poetry. Now, I'm not a poet myself. I hated the very idea of poetry. To me, there was no meaning. I never understood it. I never connected with it. Well, perhaps, I was just never presented with the "right" kind of poetry... Together, with a room full of rough and tough teenagers, stemming from a conversation about our favorite music, we explored the idea of music as poetry. And it changed everything. It opened their eyes to poetry, it opened my mind to poetry and it opened my heart to teaching through understanding, connection and compassion. What sparked it all? Daniel Beaty's "Knock Knock" piece with Def Jam Poetry. Not song lyrics per say, but powerless, nonetheless. It's that time of year again... The beach gear is getting packed up and the house smells of freshly sharpened pencils and new sneakers. I think the perfect way to celebrate new starts and prepare for the unknown is through... You guessed it, BOOKS!!! 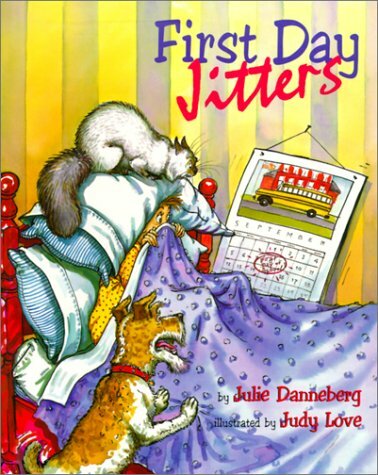 One of my favorite back to school books is First Day Jitters by Julie Danneberg and Judith DuFour Love. Sarah Jane Hartwell is not quite ready for the school year to start, it's scary to be new! Find out how Sarah gets through her first day and watch out for a fun surprise ending! Busy Teacher's Cafe has put together a ton of great resources to go with First Day Jitters. Looking for other back to school books? Parent's Choice has put together a great list of books for all ages of first day-ers. Have a wonderful first day of school!